For years we have enjoyed eating Mexican food in our hometown of Delano. One favorite is Lupe’s Restaurant, known for the homemade tortillas and the salsa fresca served with every dish. 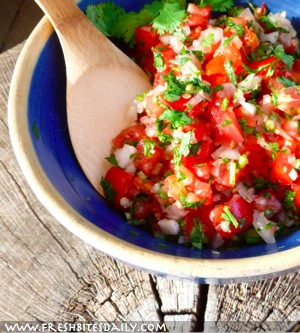 “Salsa fresca” is simply a fresh, raw, tomato salsa. 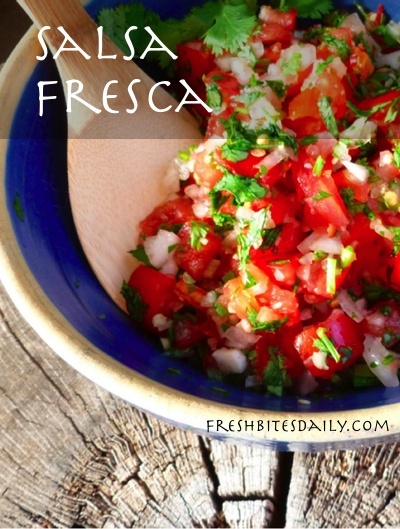 Salsa fresca should be served fresh. If it is kept over till the next day, it is not spoiled, but the flavors are not the same. The onion takes over and the tomatoes seem really tired. The veggies should all be finely diced. If they are on the big side, you have a salad. If they are put through the food processor, you have soup. All self-respecting Mexican restaurants use a fine dice. Check out this salsa fresca recipe on YouTube, watch below, or scroll down for written instructions. Finely chop the tomatoes and the onions. Finely mince the garlic and the cilantro. Mince the peppers. Keep the seeds if you like really hot foods. Mix all together and enjoy. Most of the authentic Mexican cooks I know do not salt this. Do as you like — there is no pressure! Add more or less peppers. Experiment with different kinds of peppers. The Fresno chili is the coolest one you can find in the hot chili line, but it still has a fine flavor. 4 Comments on "Brighten just about any meal with this salsa fresca"
I like to add a bit of fresh lime juice to my homemade salsa!